The Latin inscription on the screen records the name of Richard Kynge and Annette his wife for whose souls we are bidden to pray. It is likely therefore that the screen was erected to their memory but no date is given. The architectural style is perpendicular gothic which dates from 1350 (after the black death) and continued until the reformation circa 1540. The most likely date of the screen is early 15C, say 1430. The dating of the screen is discussed in "Felmersham - The History of a Riverside Parish" to be published in 2003. Very few screens were erected after the reformation until the Victorian revival. 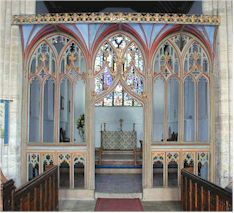 Originally the screen had a loft and on the loft would have been figures of Christ crucified with John and Mary on either side and perhaps two angels. 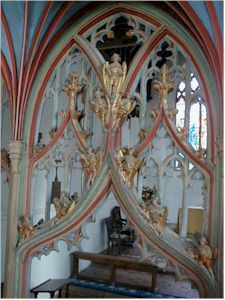 The wooden figures were known as the rood and hence the name rood screen and rood loft. There could also have been a wooden painted panel suspended behind the rood and possibly candles on the loft. The screen had a gate and there may also have been altars in front of the screen. It was during the Victorian restoration of the chancel in 1853 that the loft and gate disappeared and the access to the loft was blocked up. <<< The rood screen viewed from the chancel in 1823. What then was the purpose of the screen? It had two, an ecclesiastical and a practical purpose. Ecclesiastically it was used to separate the laity from the clergy, a practice that was abhorrent to the puritans and secondly it was used to keep the animals away from the sacristy. As one historian put it to stop dogs peeing up the altar! Radwell bridge was the first of the two parishes bridges to be built and was constructed by Thomas Morris of Pavenham in 1766 at a cost of £292 10s 0d, using local lime-stone. 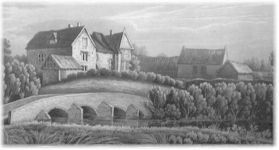 An engraving by Thomas Fisher, a local artist, dated 1816 shows only 4 arches. Prior to the building of the bridge in 1818 the main route to Sharnbrook was via The Old Road and Pinchmill Islands. There was a ford, to the west of where the bridge now stands, but it was not suitable for wheeled traffic and there was no road connecting the ford to the Odell road. The requirement to build a new road from the proposed bridge to the Odell road was the cause of heated exchanges between the parishes of Felmersham and Sharnbrook. The dispute started in 1809 and became protracted with Sharnbrook refusing to pay for a road that would only benefit Felmersham. Even after the bridge was built the dispute still rumbled on and it was not until January 1820 that the road was finally certified for use. 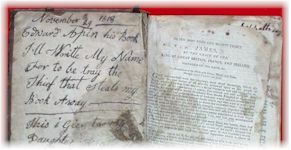 After the repairs of 1820 the bridge has survived without a weight restriction, a tribute to John and Samuel Bell’s work. During the Middle Ages the fields were open, very large and divided into strips, which the landowners rented to tenant farmers and others. Farmers and cottagers also owned strips in their own right. Prior to enclosure, Felmersham had 8 large fields divided into strips. Each strip would have been farmed on a simple 3-year crop rotation, two years of cultivation and one year lying fallow. By the middle of the 18C half the acreage in England had been enclosed, that is to say the fields were made smaller with boundaries defined by hedges, fences and ditches and they were cultivated by a single farmer. 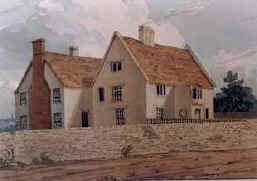 An application was made in 1765 to have the parish of Felmersham enclosed by Act of Parliament. Two parliamentary commissioners were appointed and their task was to divide the parish into smaller fields and to then re-allocate the land in proportion to previously held acreage. The vicar was allocated 70 acres of land (land that had belonged to others) in lieu of tithes. Parsons Barn was built by the commissioners (opposite Brook Farm) for the vicar’s use. Inevitably there were winners and losers and in some cases smallholders, cottagers and squatters ended up with no land, except for an allocation in the enclosure allotment at the top of Town Lot Lane (Town meaning village and Lot meaning allotment). Understandably there was discontentment and dissatisfaction, with some refusing to sign the Enclosure agreement. So why enclose? Enclosure meant that tenant farmers and landowners could farm more efficiently, which eventually led to England having the most technically advanced and productive agriculture in 19C Europe. It also gave us our unique chequered countryside with small fields, footpaths and bridleways. "Felmersham - The History of a Riverside Parish" Felmersham and Radwell local history book with a chapter on Edward Arpin and the Parish Enclosure.